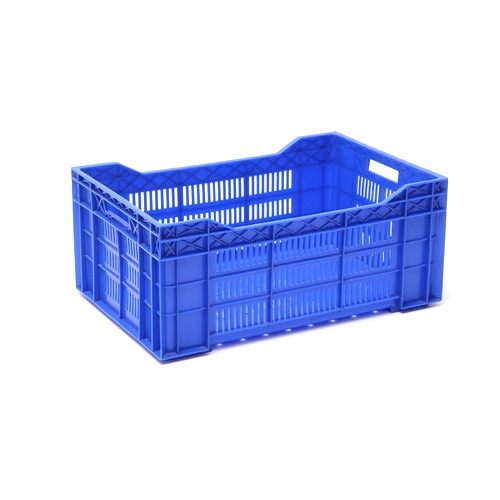 Being a quality conscious firm, we bring forth an extensive range of Plastic Banana Crates. These products are available in different sizes and designs and can be customized as per the requirements of the clients. They are durable in nature and helps retain the freshness of fruits. We avail these crates in a market leading price. Spearheading to be the leaders in the Plastic Industry, established in the year 1990, we Sunshine Products, known as manufacturers, exporters and suppliers of a wide variety of high quality Plastic Household and Industrial Products. Providing quality plastic products at extremely competitive prices and within the scheduled lead time is the hallmark of our group. The Journey of Sunshine Group started in 1989 in a modest way. By Virtue of Groups Perseverance, Determination and Integrity, Sunshine has moved from strength to strength. Sunshine offers wide range of plastic products with a variety of applications such as Storage & Material Handling Products, Household Utilities, Industrial Molded Parts, Protective Packaging Products and Blow Pet Products.